See the opening dates and times of PortAventura World’s theme parks and hotels. On this page, you will find the opening and closing hours of the parks and all their attractions throughout the year. 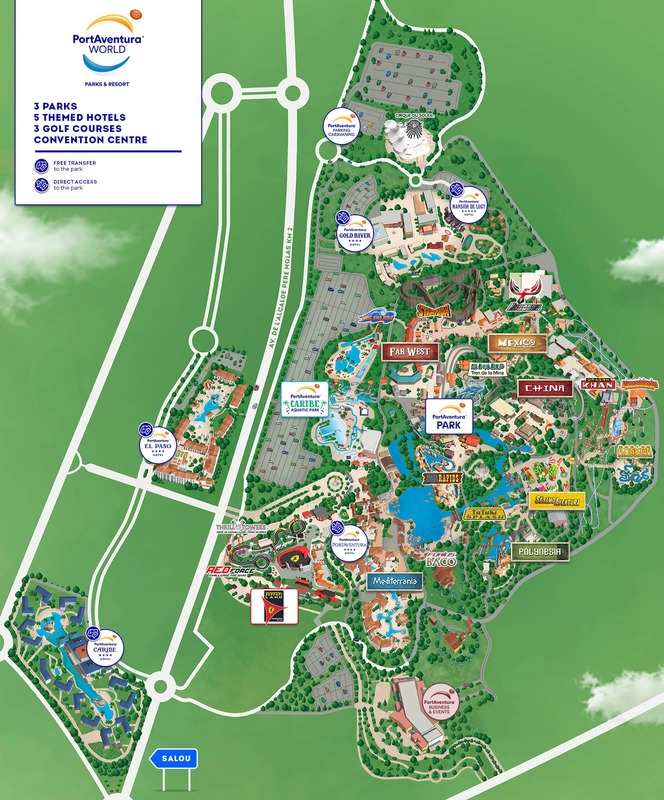 • PortAventura Park: we will tell you all of the information and the opening times of one of the most emblematic theme parks in Europe. Start to enjoy our six worlds straight away: Mediterrània, Polynesia, China, México, SésamoAventura and Far West. • PortAventura Caribe Aquatic Park: the water park where you can enjoy the most fun swimming pools and slides together with your entire family. • Ferrari Land: a theme park that is unique in Europe where you can enjoy an amazing experience and discover all the secrets of the legendary Italian brand and its creator, Enzo Ferrari. All this fun just one hour from Barcelona and in one of Spain’s best tourist areas! • Hotel Gold River: you’ll feel like a real cowboy of the Far West gold rush. • Hotel PortAventura: you’ll experience the relaxing magic of a Mediterranean village. • Hotel Caribe: will transport you to a tropical oasis with the biggest white sandy swimming pools in Europe. • Hotel El Paso: a colourful hotel which will transport you back to colonial Mexico. • Parking Caravaning: for lovers of caravan holidays. Come and spend your holiday on the Costa Dorada! We make this information easily available to you so that you can start planning your holiday with us right now and in the best way possible. All the timetables are adapted to the family routine so that you can come at the best time and enjoy a real PortAventura experience. Plan your visit and come and enjoy it with us!